All illustrations are by renowned Canadian designer, artist and photographer, Brian Johnston. DEAR TAKUYA ... LETTERS OF A SIKH BOY by Jessi Kaur, Edited by Manjyot Kaur, Illustrated by Brian Johnston. International Institute of Gurmat Studies, Tustin, California, 2008. ISBN 978-0-615-20852-7. 49 pages. Price: $14.99. Dear Takuya is a children's book that gives us a glimpse into one summer in the life of Simar, a soon to be nine-year-old Sikh boy living in California, U.S.A. By means of letters to his Japanese pen pal Takuya, we see him explore his Sikh heritage. The author, Sardarni Jessi Kaur, is committed to sharing the spiritual values of Sikhi to the Sikh youth in the diaspora. She is a frequent speaker at interfaith conferences and has also addressed the Parliament of World Religions in 2004 at Barcelona, Spain. In Dear Takuya, Jessi's convictions and her love for her faith come out loud and clear. It is through the tender young Simar that she takes on a range of scenarios: the birth of a sibling, discrimination, religion and being away at camp. Any one of these situations is a book in itself and yet Jessi, through the use of the epistolary format, manages to make it work. Hearing about the arrival of a baby sister makes Simar uneasy. He says, "A sister! What will I do with a sister? 'Can we exchange her for a dog?' I asked, quite sure that a sister had no place in my life". 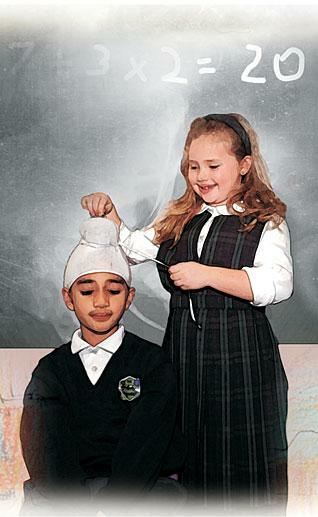 Simar shares with Takuya that he is a Sikh and as a Sikh he has long, unshorn hair and wears a patka. The heart wrenches when he writes that he is mistaken for a girl, "even when I told them that I was a boy...", or when he is being bullied. His visit to the gurdwara and his explanations about the principles of Sikhi will enable many parents to explore these further with their children. His acceptance of his sister and his desire to play the role of big brother is heart-warming. "I will teach her all the good values I have learned at the camp. I am bursting with love for my sister. I will always take care of her. No one will dare bully her". I wish the author, when writing about the concept of God, had introduced the thought: "You are a spark of Divine Light, recognize your worth" to this book's young readers. The lines, "It seems to me that our Gurus were really needed in India during those difficult times. Perhaps that is why they were born there", did not sit well with me. Teachers might do well to downplay this book's emphasis on the martyrdom and the issue of forced Islamic conversion when presenting it to their class. These points aside, I concur with the sentiments expressed by Dr. I.J. Singh in his Foreword: "I have little doubt - in fact, I have the utmost confidence - that this book will be grabbed and gobbled up with pleasure by young Sikh readers ... Even their parents will learn something about their own heritage from this primer on developing awareness of the Sikh way of life. It is reader-friendly, and would do more good than a bunch of lectures to children or their schools". The wonderful illustrations of Brian Johnston enhance this extremely well-produced book. Dear Takuya belongs in every library ... and Sikh home! 1: Devinder Luthra (Toronto, Canada), July 13, 2008, 6:43 PM. May Waheguru bless you with success at every step of your life. 2: P. Singh (Canada), July 17, 2008, 6:11 PM. How can one get a copy of this book? 3: I.J. Singh (New York, U.S.A.), July 23, 2008, 8:19 AM. Having written the foreword to the little book, I hesitate to comment on it now, but I have to say that Jessi has an ear for how kids think, and particularly how young boys express themselves - even if their choice of words comes across as rude and off-putting sometimes. Merging text and artwork is never easy and this is a first rate effort, well written, very well assembled and edited, that the young and not so young should enjoy. 4: Jasleen Kaur Dhir (Fremont, California, U.S.A.), July 31, 2008, 9:31 AM. I love this book and have been reading it to my five year old every single night since we got it a few weeks back. Interesting analogies and easy to relate to for little minds! 5: Robert Pontsioenr, Smithsonian Institution (Washington D.C., U.S.A.), July 31, 2008, 10:32 PM. A contemplative yet lively book, Dear Takuya grounds a discussion of some of the most serious issues facing us today in an engaging narrative style that will excite both children and adults. Through the eyes of a young boy, respect for all people - regardless of religious beliefs, physical appearance, or gender - shines through as the most obvious and honest perspective. Clearly it is not only children who can learn from the message of Dear Takuya! As I reached the end of the book, I was left hoping to someday have the chance to hear the story of little Jasmine Kaur, the newborn sister of the story's protagonist: the life of a Sikh princess must be pretty exciting too! Overall, the book was a joy to read and I look forward to the second edition! 6: Dr Jagmeet Kaur (Bhopal, India), August 02, 2008, 11:27 PM. Truly a wonderful book. Jessi has a fantastic perspective about the minds of young children. It is my ardent wish that this book find its way into as many homes and hands and thereby into the hearts of people. Books such as these increase inter-religious awareness and this then leads to respect and tolerance. The world would definitely become a better place with such efforts. 7: Harjap Kaur (Placentia, California, U.S.A.), August 17, 2008, 12:23 PM. This is a good book for children. Jessi Kaur is an exceptional writer. 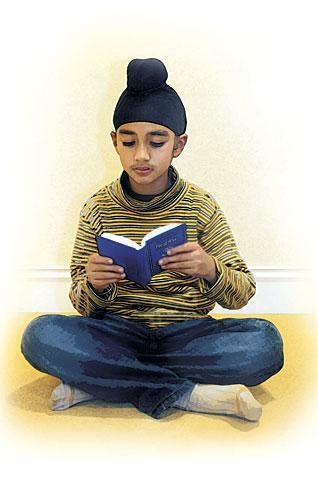 Any child would get some knowledge about Sikh culture as soon as they open the book. The illustrations are outstanding. When you look at the pictures and you read the book, you feel like you are in the story. I liked the book a whole lot; it is a "must-have" for all children. 8: Manjit Kaur (Placentia, U.S.A.), August 17, 2008, 12:30 PM. This book was like a hot cake in our home. For a while it became a reason for fights between three children. Everyone wanted to read it first. Anyway, I finally got to read it last night after everyone unglued from it. I loved the way Sardarni Jessi Kaur has described Sikhi through the eyes of a young boy. Some sentences made me think that she was observing someone's journal for a long time to come up with that language. I often peek through my own kid's journals that they keep during summer :) This book will make a lovely keepsake for any Sikh or non-Sikh child. 9: Melissa Kamita (San Jose, California, U.S.A.), September 10, 2008, 3:13 PM. I really enjoyed this book ... it was very well written and made me laugh out loud several times. The storyline was very realistic. Not to spoil anything for those who have yet to read, but Simar wanting a dog instead of a sister was priceless! I also thought the part about the "burrito" was cute too. Looking forward to reading the next one! 10: Amarpal Singh (San Jose, California, U.S.A.), September 14, 2008, 10:04 PM. Excellent book. It is heartening to see that Jessi has handled such important issues in a simple and fun way. This book will be valuable not only for the Sikh families but also for the non-sikh families who are curious to learn but are hesitant to ask questions. Beautifully illustrated, this book is going to be a hit in its category. Keep it up, Jessi! 11: Perminderjit Singh (Malaysia), July 18, 2009, 4:47 AM. Takuya is the best. It is fantastic. Wow, Takuya, I will surport you. Bye. 12: Sukhmandir Kaur (California, U.S.A.), February 13, 2010, 1:54 AM. This truly outstanding piece of literary work is a must have. Perhaps teachers may want to point out the parallels of the Mogul and Hindu persecution and intolerance towards other religions and people in India that our Gurus historically stood up to, and the modern mentality of fundamentalists and extremists in each of today's religions. 13: Ravinder Kaur (London, United Kingdom), December 29, 2011, 7:55 PM. I would like to buy this book for my 4-year old son who feels different than his friends and has been asking me if he can cut his kesh. 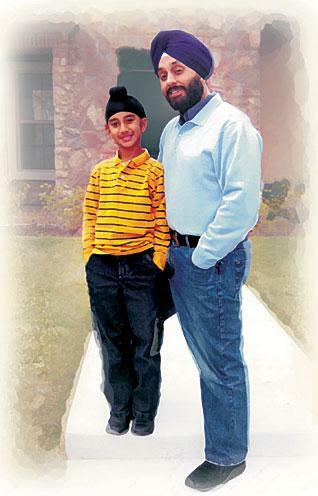 Comment on "Dear Takuya: Letters of a Sikh Boy"